First look at director Elijah Bynum's upcoming drama. Call Me by Your Name star Timothée Chalamet is on another summer break in writer/director Elijah Bynum's debut Hot Summer Nights. Chalamet plays a young man who finds himself in over his head when he befriends a drug dealer (Alex Roe) and falls for his sister (Maika Monroe). William Fichtner, Thomas Jane and Emory Cohen also star. 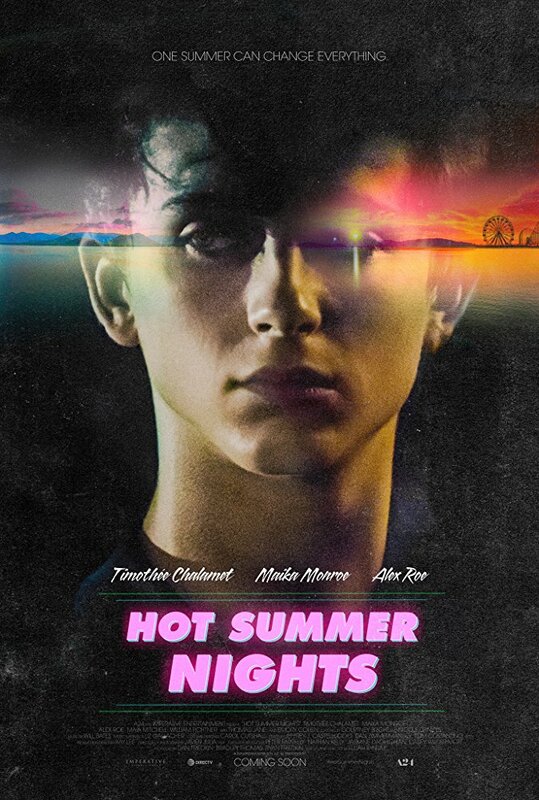 Hot Summer Nights is in US cinemas July 27th with a UK/ROI release yet to be announced.